I write this column from my bed, recovering from an accident that broke my bones. I was hit by a speeding car when cycling. The car fled the scene, leaving me bleeding on the road. This is what happens again and again, in every city of our country, on every road as we plan without care for the safety of pedestrians and cyclists. These are the invisible users. They die doing nothing more than the most ordinary thing like crossing a road. I was more fortunate. Two cars stopped, strangers helped me and took me to hospital. I got treatment. I will be back fighting fit. And this is one battle that needs our combined attention. We cannot lose the space to walk and cycle. Since my accident, relatives and friends all have berated me for being so reckless as to cycle on Delhi’s roads. They are right. We have built the city roads only for cars. They rule the road. There are no dedicated lanes for cycles and sidewalks. The little stretches that do exist are either dirty or taken over by parked cars. Roads are for cars. The rest don’t matter. But cycling and walking are difficult not just because of poor planning. It is also because of our mindset that only those who move in a car have a status and road rights. Anyone who walks or cycles is poor, wretched and destined to be marginalised, if not obliterated. This is what must change. We have no option but to reinvent mobility, as I keep repeating. This week toxic smog in Delhi has reached a new peak. Last month the World Health Organization declared air pollutants a human carcinogen. We must realize that this pollution is not acceptable. It is killing us, and no longer softly or slowly. But if we are serious about combating air pollution then we have no option but to think of restraining the growth of cars. Learn how to move people not cars. When Centre for Science and Environment began its campaign against air pollution in the mid-1990s, it did everything conventional. It pushed to clean up the quality of fuel; improved emission standards of vehicles; got inspectional and maintenance systems for checking tailpipe emissions in place. It also pushed a leapfrog solution transition to compressed natural gas (CNG) for gross polluting vehicles like diesel buses and two- stroke autorickshaws. All that made a difference. There is no question that the quality of air would have been even worse, even more deadly, without these steps. But this is not good enough. We soon realised this. Pollution levels are rising again, inexorably and inevitably. 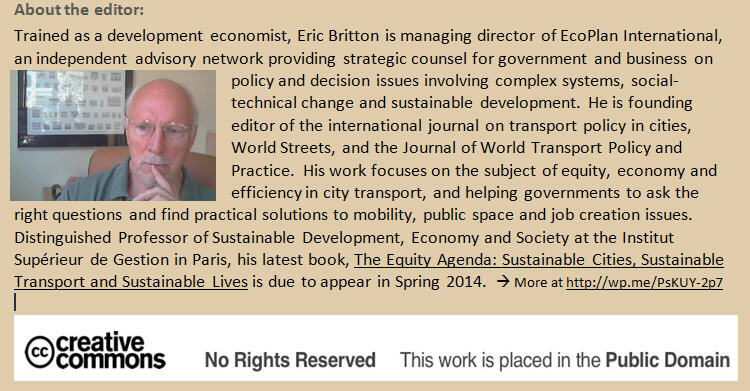 All research points to one cause and one big solution: building transport systems differently. We also have the option of doing this. We have still not motorised; still not built every flyover or four-lane road. Most importantly, most of India still takes the bus, walks or cycles in many cities as much as 20 per cent population bikes. We do this because we are poor. Now the challenge is to reinvent city planning so that we can do this as we become rich. For the past few years this is exactly what we have been working on how to bring back integrated and safe public transport options to our cities, so that even if we own a car, we don’t have to drive it. But the keyword is integration. We can build a metro or get new buses, but if we do not have last mile connectivity, then it will still not work. It has to be seamless and effortless. That is why we need to think differently. This is where we are failing. Today, there is talk of transport, even cycling and needs of pedestrians. But it is empty talk. Every time there is an attempt to take a part of the existing road and convert it into a cycle track, it is virulently opposed. The argument is it will take away space from cars and add to congestion. But that is exactly what we need to do; reduce lanes for cars and add space for buses, cycles and pedestrians. This is the only way to get out of the ever-growing car-bulge on roads. This takes courage of conviction. In our overcrowded and chaotic roads, planning for cycle tracks and keeping sidewalks clean and clear will take lots of effort. I have absolutely no illusion that this will be easy to plan or to implement. But why should that deter us? The rest of the world has learnt successfully to rework road space so that it provides dignity and accessibility to cyclists and pedestrians. They have learnt to restrict space for cars and yet build extremely liveable cites. Just think of the double bonus: clean air by getting rid of the most noxious source of pollution and healthy bodies by having the option of getting some exercise while commuting. This is what we have to fight for. And we will. I hope all of you will join us in making the right to cycle and walk with safety non-negotiable. Sunita Narain is an Indian environmentalist and political activist as well as a major proponent of the Green concept of sustainable development. 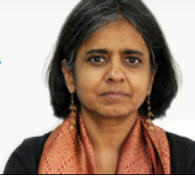 Narain has been with the India-based Centre for Science and Environment since 1982. She is currently the director of the Centre and the director of the Society for Environmental Communications and publisher of the fortnightly magazine, Down To Earth. This entry was posted in 2013, Cycling, Examples, Governance, Guest editorial, Old Mobility, Open systems, Safety/accidents and tagged World Streets. Bookmark the permalink.